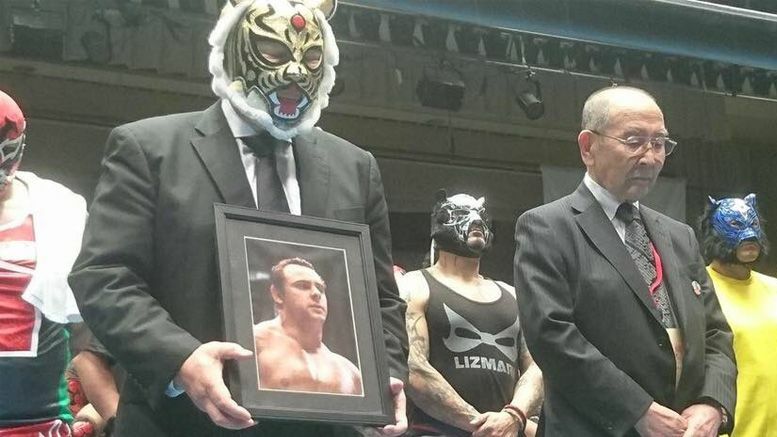 Following the unfortunate passing of Dynamite Kid, one of his most famous opponents Tiger Mask led a ten-bell salute to pay tribute to the fallen wrestler. Tiger Mask gathered in the ring with other wrestlers at Korakuen Hall on Thursday as they took part in the honorary tradition. The 61-year-old wrestler held a picture of Dynamite, aka Tom Billington, during the moment of silence. Still no word on what caused Dynamite’s death, but the wrestler struggled with his health for years. In addition to this tribute, Natalya tweeted a photo of herself doing a top rope splash at a live event in Chile and said it was done in tribute to the legendary wrestler. Watch the ten-bell salute below.